One of the most beautiful places in the world? 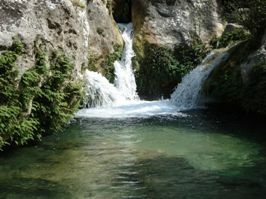 The “terrestrial paradise”, as this place is often labled, is no more than a deep canyon crossed by the River Cassibile and in its 3000 acres, the river combines all colors. Cavagrande was shaped by the waters of the Cassibile River that soaked into the soft limestone like a cookie in milk. 10 kilometers long and 250 meters deep, the visitors are incredulous between the height of the walls of this gorge and the eerie presence of lost man. You can see several tombs carved in rock, traces of dwellings, called Dieri (house in Arabic). On the walls there are eight thousand cave tombs, dating from the 10th and 9th century BC. 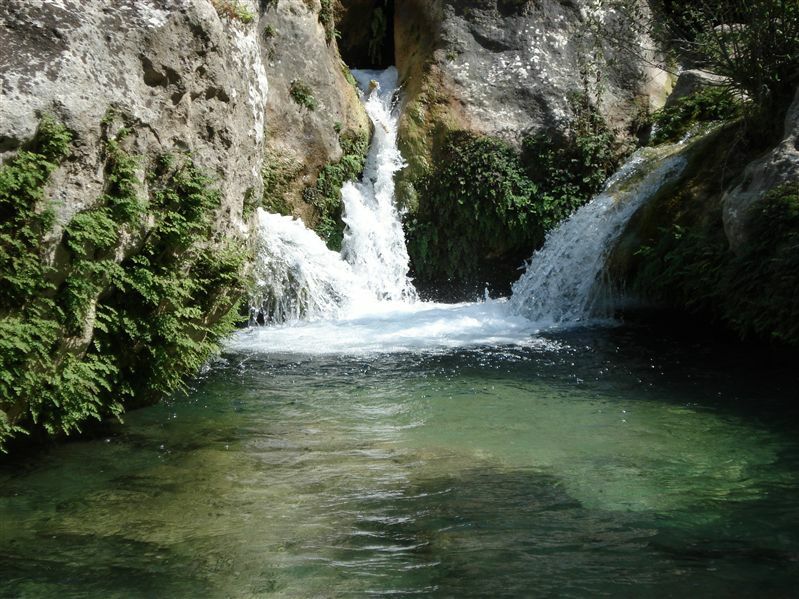 What makes this place spectacular because of the flow of waterways, is the morphology of the Grand Canyon of Cava Grande del Cassibile, the Kakyparis of the Greeks. On the north side it is possible to observe a small group of cave dwellings commonly known as Grotta dei Briganti (photo). On the south side there is a complex system of dwellings carved into the rock, arranged one next to the other on six different parallel levels, connected by a system of tunnels and tunnels called cavagrande dieri. On the edge of the reserve, to the north-east, there are various ancient necropolis, in which were found rich grave goods and ceramic material. This attractive environment is clearly unique and not only a paradise for visitors but for the infinite birds that live there. Every year it is visited by thousands of visitors. This is the realm of the oriental plane tree, typical in Europe’s south-east and western Asia. In fact, Cassibile is the western most extreme. The planes, together with the willows, oaks, poplars and ash trees, form tunnels of dense forest, through which you reach the bottom of the canyon, signaled by the passage of water. Their particular cleanliness, allows the river crab to live there as well as the eel and the water snake. Cassibile is, together with a few other areas in Sicily, a breeding ground for macrostigma, the trout native to the island, characterized by black markings on the bottom and silver on the sides. Foxes and rabbits, hedgehogs and weasels are common, as well as a variety of birds of prey of great size. It is also rich in aquatic fauna: from trout eels to frogs. Between the beautiful colored butterflies and the landscape, it creates deep emotional and spiritual moments. Cavagrande is a real “conquest” on the part of the visitor because to get there you have to really go down into the valley. 6° the path is not recommended for individuals with asthma, respitory or cardiac problems, allergies or pregnant women. 7° in the event of rain, the reserve will be closed for about 2-3 days. 8° in the reserve there is no cell phone network (don’t take them).